Kim Jong Un continues to rattle his nuclear saber, racial riots are spreading from Charlottesville and countless other problems are rocking our nation and our world. 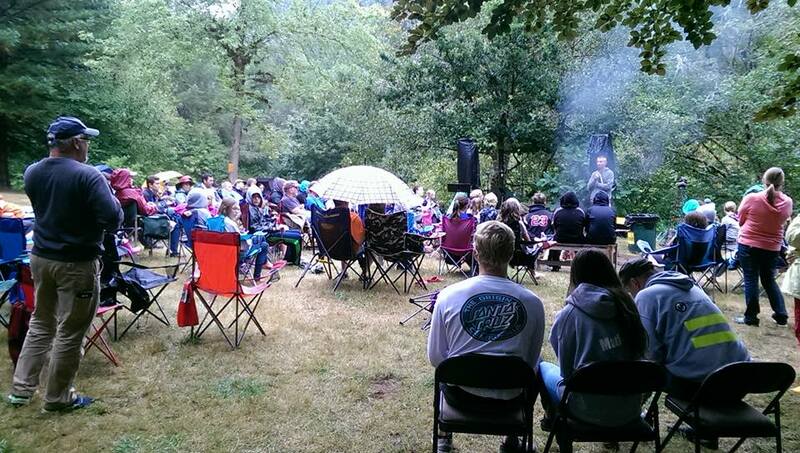 What was Evergreen Bible Church doing last weekend? Camping. About 130 of us packed our supplies and headed out beyond the reach of cellular services for the annual Family Camp in Triangle Lake, Oregon. For three days we had no texts, emails, news feeds or Facebook updates. Instead, we played board games at shady picnic tables, floated lazily in the river or just sat around in lawn chairs and talked. However, this was not essentially an escape from the troubles of the world, but a strategic effort to make a difference in it. Our goal was to strengthen our connection with two of our missionary families who are currently home. They are the point of the spear in our international gospel work. Joel and Andi McMartin serve with Ethnos 360 (formerly New Tribes Mission) and Dan and Katie Anderson are with Kids Alive International in Peru. Each shared compellingly how God called them to cross-cultural mission, what their daily work is like and how we can be part of it with them. My sense is that much of what we hoped for happened. Many connections with our missionaries were made or renewed. The call was made for others to join them in the work and we connected the dots between accepting Jesus and fulfilling his mission. The late-night dance party at the neighboring property and the Sunday morning rain shower only served to make our focus on mission more unforgettable. We laid in our tents listening to the Hokey Pokey and the Chicken Dance as midnight approached. But instead of grousing against the noise, most chose to quietly participate in a bit of the revelry. Now I’m back and looking forward to reprising a portion of the camp at church this weekend. (Not the Hokey Pokey) The Andersons will be sharing in all three services and our goal will be the same. The world’s a mess, so let’s do something.